There’s a special from 11/19 through 11/24 at Dollar Tree for flat rate shipping! CLICK HERE for this GREAT deal! It’s coming! Christmas is such a wonderful time of the year and why not make it even more memorable. It’s all about making and keeping relationships and sending a gift in the mail is one way! Did you know you can send items in the mail just as they are? I’m telling you, things you never thought you could mail in the snail mail — you can! I have some cute and fun packaging ideas as well as making gift wrapping for family, friends, relatives anything but boring! Watch my video for unique and creative ways to send presents in the US postal service and bring a smile not only the recipient, but you’ll be smilin too and so excited waiting for them to get their imaginative wrapped gift in the mail. If you like my suggestions, you can click on any HERE below and it will take you to the section in Dollar Tree’s on-line store that you need. It’s a flat shipping rate, which is so economical! If more of an item is needed in the order, split it with a coworker, or a friend – Easy- peasy!!! Or when they call excitedly to tell me ‘what’ they received in the mail – the response is priceless! 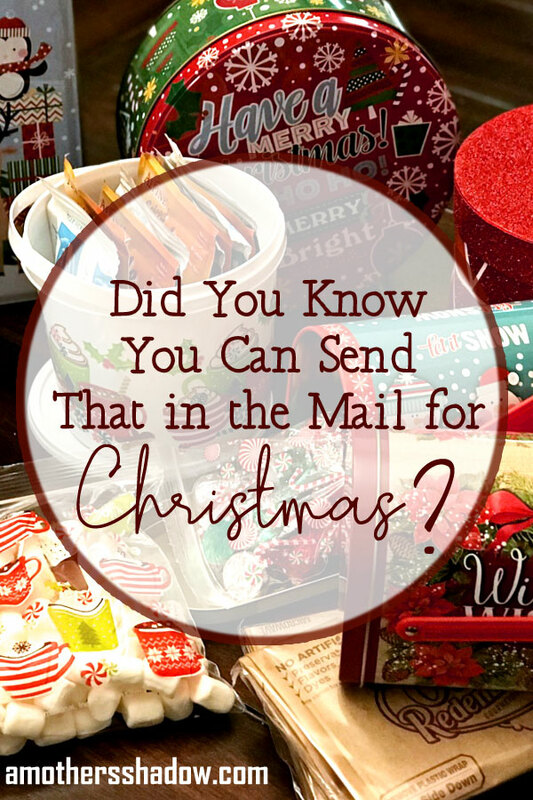 For more ideas and suggestions see my post: Did You Know You Can Send THAT In the Mail? FTC Disclosure Statement: I will be compensated if you make a purchase after clicking on my links.